(February 2015) The National Academy of Television Arts & Sciences announced the nominations for the 58th Annual New York Emmy Awards. 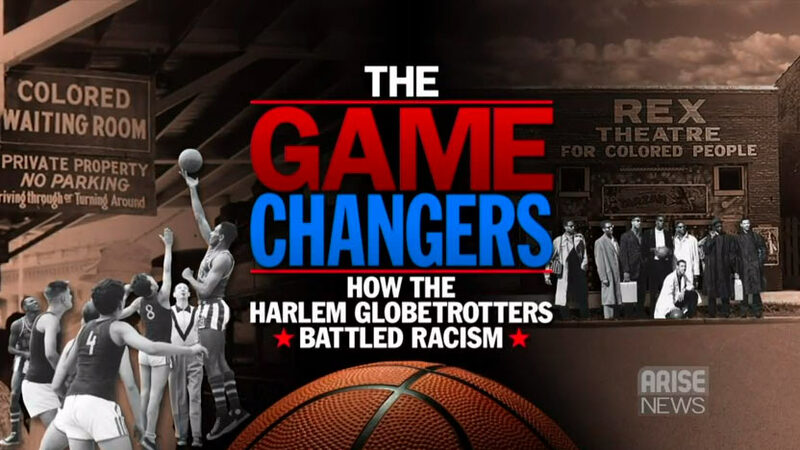 The documentary “Game Changers: How the Harlem Globetrotters Battled Racism” – produced by ARISE News and Alan Weiss Productions (AWP) – is recognized in the Nostalgia Program category. Former LA Lakers owner Don Sterling’s explosive comments exposed the undertone of racism that still exists in professional basketball. No players are more aware of this pernicious bias than those who played for the Harlem Globetrotters in the 1940s & 1950s. Long after Jackie Robinson hit his first ball as a Dodger, the NBA was still a “whites only” league. This Arise News Special takes an historical look at the early days of professional basketball and how the Harlem Globetrotters not only dealt with racism, but helped change the world of sports. Hosted by Julian Phillips, the documentary includes interviews with former Globetrotters: Wilt Chamberlain, Meadowlark Lemon, Marques Haynes, William “Pop” Gates, Gene Hudgins, Andy Johnson, Charlie Hoxie and Carl Green. This is the first nomination for ARISE News since its soft launch in 2013. For the team at Alan Weiss Productions, this brings their Emmy tally to 34 nominations and 14 Emmy Awards.